And Our CEO is on a roll – This time around making it to the coveted ‘Power List’ by the Bible of women & fashion magazines – ‘Cosmopolitan’. 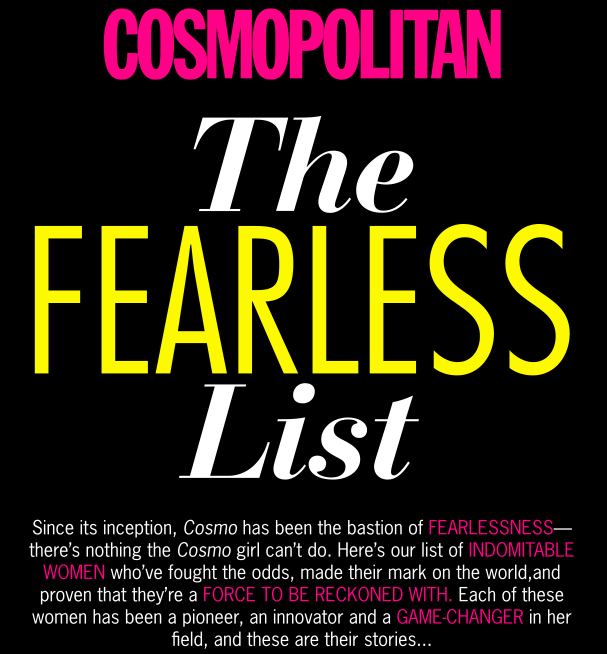 Cosmopolitan’s anniversary issue has come up with a list of women who have been pioneers, innovators and game changers in their field and we are the sole Digital agency to feature on the list. ITTISA’s efforts and achievements were brought to the lime light, listing our CEO as one of the indomitable women to fight against all odds. This feature has added more power & determination. Sneh’s idea to create a space for women and to tap into their potential was not appreciated initially. However, today it has found its way to reach international audience through Cosmo. We, from Ittisa, take this opportunity to thank them for their efforts. Read more to see who else made their way into the Cosmo list. 1. Bhakti Sharma – The youngest women in the world to set a record swimming in the open waters of the Antarctic and all the five oceans of the world. 2. 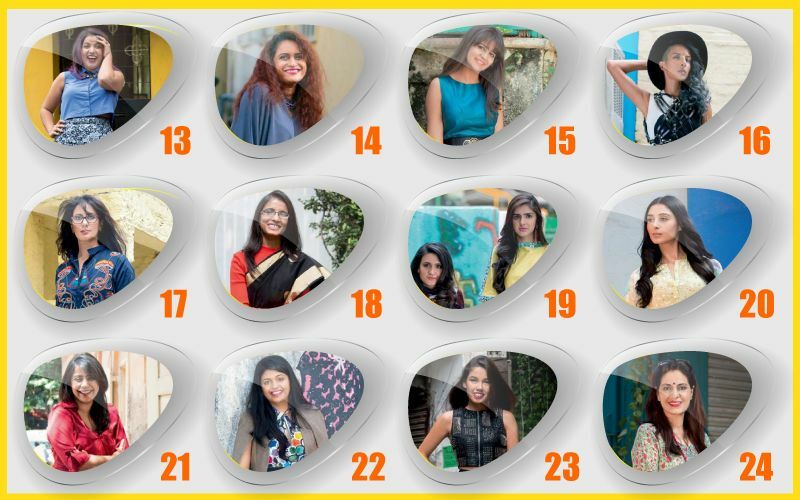 Ujjwala Raut – India’s most successful model who won the Femina look of the year at the age of 17. She was also the first Indian girl to be on the cover of London’s art and culture magazine, Tank. and thought-provoking view of the world and everything that concerns the youth of the country, from features on anti-Modi campaigns to the best places to devour pork belly. 4. Gauri Devidayal – Founder of “The Table”, the restaurant that has gathered a host of coveted awards including the TimeOut Best Restaurant in India Award (Critic’s Choice) in 2014, the Times Food Award for Best European/Global Cuisine in 2012 and 2013, plus a listing in the Miele Guide to Asia’s 500 Best Restaurants in 2013. 5. Namrata Soni – She is s one of the most successful hair and celebrity make-up artist in Bollywood. Namrata’s list of clients include Deepika Padukone, Sonakshi Sinha, and Shruti Haasan. Moreover, She is on Sonam Kapoor’s speed-dial and Insta- feed (The girl behind her amazing Cannes look), and is the L’Oréal Paris Beauty Expert. 6. Ishita Malaviya – India’s first female surfer and co-founder of Shaka Surf Club in Kodi Bengre, Karnataka. As a first-generation surfer in the country, her focus is not so much on competing as it is on teaching, which she finds empowering. 7. 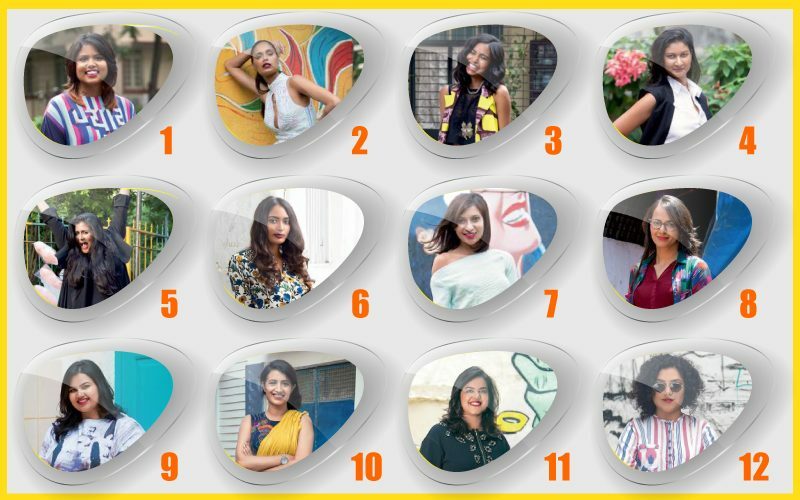 Malini Agarwal – She is one of the most influential bloggers and founder of MissMalini.com, which has a traffic of four million page views of over 12 million a month. She is also a social media Jedi with 691K Facebook fans, 622K Twitter followers, and 104K Instagram followers! 8. Purnima Lamba – She is the head of innovation Lakme, who spearheaded the iconic Lakme fashion week with several range of products that became major success stories for the brand. 9. Pooja Dhingra – She is the founder of le 15 patisseire and the proud owner of four such outlets, a culinary studio, and an in-the-works café in Mumbai. With a turn over of 1.55 crore a year, Pooja Dhingra’s is a ‘sweet’ success story. 10. Karuna Nundy – She is an advocate in Supreme Court, who put herself on the map as a legendary human rights litigator when she took up litigation for the Bhopal gas tragedy eight years ago. She made history again when she took on (and won) a case that was splayed all over the news—getting 66A of the Information and Technology Act stricken down. 11. Neha Kirpal – She is the founder of India Art Fair. The India Art Fair, which had its seventh edition this year, and saw participation from 85 galleries (a massive number in the Indian art context), currently reigns as the largest Indian and International art forum in the country. 12. Sukhmani Malik – Singer and songwriter. She is a powerhouse who reverberates the room with her presence and voice. 14. Rohini Iyer – Founder of Raindrop Media management. Rohini started as a film journalist because she loved movies and writing. And from writing about the biggest celebs in the business, she soon became their professional lifeline. She handles industry biggies like Salman Khan, Akshay Kumar, Ranbir Kapoor, Priyanka Chopra, Kangana Ranaut, Katrina Kaif. 15. Priyanka Amar – Founder of Ikheti.co.in. Priyanka’s mission to promote sustainable urban farming popped into her mind during her final year of MBA in Welingkar Institute of Management, Mumbai. Boy! Did it prove to be a game changer! With Pune and Nagpur next on the radar, she plans to expand iKheti all over India. 16. Anushka Nadia Menon – She entered photography about a decade ago when it was still a boy’s club. Today, Anushka is one of India’s most sought-after fashion and lifestyle photographers, and her portfolio is proof—boasting editorials and covers with literally every magazine in the country, plus an armful of awards. 17. Chhavi Rajawat – She is a Sarpanch of a village without being part of a political party. In her time as the head of the panchayat, Chhavi’s managed to do things for Soda that people thought unfathomable—constructed toilets in 900 homes, got electricity supply to go from 4 hours a day to 22 hours, set up the first bank and ATM, created a solid-waste recycling plant…her list goes on. 18. Neena Gupta, Mathematician – It is unadulterated passion for Math that has made this Indian National Science Academy topper who she is today—the recipient of the INSA Medal for Young Scientists (2014), the Ramanujan Prize (2014), and the Saraswathi Cowsik Medal (2013) by the TIFR Alumni Association for her outstanding work on the Zariski Cancellation Problem. 20. Pernia Qureshi – Actor & Entrepreneur. It’s safe to say that the lady dons many hats. She is a trained kuchipudi dancer, an actress, has her own fashion label, and a book to her credit—Be Stylish with Pernia Qureshi. However, her most successful venture, undoubtedly, is Pernia’s Pop-Up Shop, one of India’s first fashion e-stores, featuring curated designer wear by the country’s most stylish labels. 21. Anusha Yadav – Creator of Indian Memory Project- a repository of old Indian photographs—soon became a newsmaker, not just for being the world’s first online and visual archive, but for being such a unique exercise that seven other countries are currently emulating it as we speak! 22. Upsana – Editor, White Print, the the first ever lifestyle magazine in braille. Now, with 20 times the subscribers she had when she started, it seems more amazing than ever. What makes the feat extra commendable is that it was (and still is) a one-woman show! 23. Mohini Boparai Guleria – Founder, Exclusively.com. Mohini decided to give it all up to follow her childhood dream— working in the world of fashion. So, she joined forces with her then-fiancé-now-husband to start exclusively.com, which she heads as the Creative and Fashion Director. 24. Juhi Chaturvedi – Script writer. Her scripts for Piku, Madras Cafe and Vicky Donor had everyone on high alert—and it soon became clear that Juhi was the one to watch in the new brood of up-and-coming scriptwriters. 25. Anuja Chauhan – Author. She broke ground in advertising first, making one iconic campaign after another (yes, she’s the brainchild behind Pepsi’s Yeh Dil Maange More). Then, when she penned The Zoya Factor, the book exploded all over the Indian literary circle and Anuja shot to fame as one of the most ‘readable’ writers in the country. After that, like Midas’ touch, every book she’s written has turned to gold. 26. Tanya Ghavri – Celebrity stylist. She started out assisting Pernia Qureshi, and now she’s such a big- wig celebrity stylist, she’s essentially a star herself! From being on Sonam Kapoor’s style speed-dial to dolling up the likes of Kareena Kapoor Khan and Karisma Kapoor (not to mention giving Arjun Kapoor, Siddharth Malhotra, and Varun Dhawan the dapper style they have today). 27. Sharmila Nicollet – Golfer. Going pro at a sport like golfing isn’t exactly what you’d expect from the average 15-year-old, but Sharmila was already repping India at the Asian Games by then. She’s also the only Indian who plays regularly in the Ladies European Tour! 28. Gunjan Gupta – Founder, Wrap Studio. What makes Gunjan Gupta stand out from the abundance of interior designers in the country? It is her focused effort to promote and revive Indian crafts—and put them on the global design landscape. It’s no wonder that Gunjan’s work has found a place at landmark design exhibits all over the world, from Basel and London to Miami and Milan. 29. Ira Singhal – IAS Officer. She made headlines for topping the IAS exam for two reasons: one, she’s the first differently-abled person who’s been able to accomplish this, and the second is that her candidature was cancelled twice because of her Scoliosis—and she still kept at it. She then took the exam after barely any prep, and the rest…was the making of history. 30. Aditi Gupta – Founder, Menstrupedia.com. Her revolutionary website about the taboo menstruation started small, and now, menstrupedia.com not only has over a 1,00,000 users a month, 25 plus schools have included it in their curriculum! 31. Anu Sridharan – Co- founder, Nextdrop. NextDrop is more than just an app—it is helping change the lives of thirsty Indians in many cities! NextDrop dispenses information on water supply to citizens via text messages. When they started out in Hubli- Dharwad, nearly one million people in Hubli alone would get water once every three to five days, for about four hours. 32. Faith and Patience – Co- founder, Music Basti Project. After working for biggies like UNICEF, the University of Sussex, and IDEA, this pair now runs a breakthrough educational project for children—the Music Basti project, which was set up to help children with critical life skills through music learning. 33. Prukalpa Sankar – Co-founder, Social Cops, which is a ground-research intensive initiative that collects data at the grass root level and provides it to the government and various other sources so that they can put that information into effect. 34. Naina De Bois – Juzan- Owner, Le Bistro Du Parc. After working with GL Events for two years, with no background in hospitality whatsoever, Naina quit her job to give the capital its first authentic French culinary destination in 2013. Le Bistro won the Times Food Award this year, in the Best French, Casual Diner category. 35. Masaba Gupta – Fashion Designer. Masaba bagged the position of Fashion Director at Satya Pau and proceeded to give the 27-year-old brand a serious shot of ‘cool’. She’s been a brand magnet of sorts ever since—her (long) list of collaborations include a revamp for car brand Nano, a luxurious bath range for Fiama Di Wills, a highstreet collection for stylista.com, and a ‘Masaba Kit’ for beauty giant Clinique!